Sport rim with reinforced ridge and riveting. 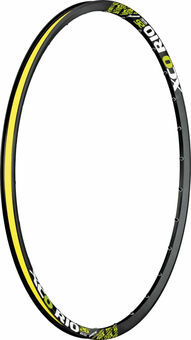 Lightweight rim with reinforced back and riveting. It is designed for rigid spokes and wheel with low circumferential weight.